‘Vintage Organs’ is a multisampled recreation of two classic organs, the B3 and the Continental, containing 50 ready-to-play instrument patches for the MPC X, MPC Live, MPC Studio, MPC Renaissance & MPC Touch. 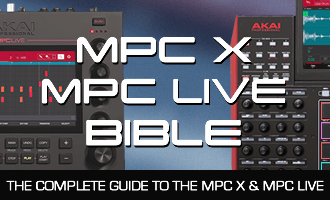 Each instrument has been faithfully reproduced with over 570 sustain looped samples and 50 ready-to-play sound patches – simply load up a patch and instantly start adding authentic organ chords and riffs to your MPC beats. All instruments are built from native MPC keygroup programs utilising internal FX, filters and LFOs for all patches allowing for full customisation over all settings including vibrato, filters, effects and EQ. The collection comes with two separate installers; a dedicated version for ‘standalone mode’ use in the MPC X/MPC Live and a separate MPC Software Expansion installer for use in the Expansion Browser (compatible with both MPC Software 2.0 and 1.9), perfect for the MPC Studio, MPC Renaissance and MPC Touch. Get more info on Vintage Organs!